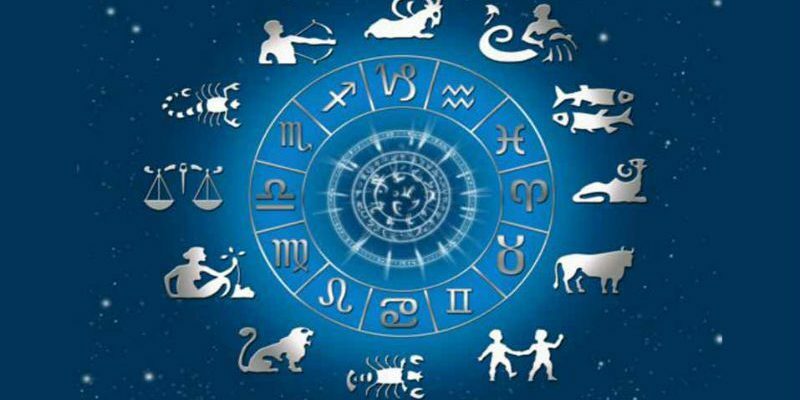 Since ages people have taken help of Horoscope for day to day activities- from health to finance and from love to marriage, but have you ever thought of seeking the help of Astrology for Career-related issues. Well, since your Star sign can narrow down your personality traits and bring your true nature in the spotlight, career astrology can help you in finding the best jobs for you. Consider your personality and character traits while choosing a career path for yourself. Additionally, seek help from free career horoscope to find valuable clues according to your Zodiac sign to find a career suitable for you. Keep reading ahead to find out your hidden talents and how to use them to find a favorable job opportunity for yourself. It’s probably no news that the first Star sign of the 12 Zodiac signs is a born leader. Aries, you can complete tasks in a blink of an eye and want to come first in everything you do. However, be careful because multitasking can put you in dire situations. Put all your energy in one task at a time and then move onto the next in line. You are highly ambitious and hardworking and believe in setting new challenges every day for yourself and achieving them. Use your power to push your career to newer heights every day. Your steady and reliable nature makes you everybody’s favorite and gets you a permanent place in the good books of your bosses. Taurus is the one on whom you can count to get urgent tasks done. However, as per free career horoscope, you might feel low on your confidence level at times which might have an adverse effect on your career. A piece of advice for you all: be faithful and trust your capabilities; you have all the traits and skills to excel in life and career. To achieve your career goals, keep your confidence level high and stay focused. According to Career horoscope, highly intellectual Gemini are gifted with superb mental strength and your proactive nature help you decide upon your actions in advance. You are always looking for new opportunities no matter how occupied you are with your current job profile. Use your determination to push and motivate yourself to the next level of career achievements. Ruled by the Moon, Cancer is destined to enjoy financial stability and independence. You deal with your finances quite rationally and are extremely good at budgeting. With your emotional maturity and mental power, you are always focused on the betterment of your career and strive for success in life. This way you ensure the security of your personal and financial goals. Your trustworthy and hardworking nature makes you a good team player. For entrepreneurs, just be yourself to climb higher. Your ability to multitask and manage things will always keep you on top of every job you do. Your passionate nature helps you excel in your career. Your driven and smart character enables you to win all challenges and situations. Disapprovals are always welcomed by you, and you take them as an added opportunity for improvement and growth. Your thirst for new opportunities and challenges makes you the leader of the pack in the long run. Virgos, you are born with a great mind of success but your reluctance towards big tasks and challenges makes your growth a lot slower. You believe in continually working towards a goal which ensures your success in the long run. You are blessed with fantastic management skills, especially on the financial front and efficiently rotate it for better results. A piece of advice for you: Take risks for better results. Your well-liked personality makes you highly popular amongst your team members. You believe in creating a healthy work environment and avoid being a part of office politics. For career growth, try and surround yourself in a creative environment. A conducive and positive environment will bring you out of your cocoon and help you to be fresher and more innovative. There is no stopping for you in career and money-related tasks. You believe in striving hard to achieve excellence and recognition. You are born with an additional power to do more which others lack and are never really afraid of trying new things which leads you to the success you are destined to achieve. Your incredible management skills help you take control of people working with you along with your finances. Sagittarius, you are highly practical with clear career and life goals. With your determined and hardworking nature, success is not a stranger to you. You prefer career options that give security and are well-paid. Your risk-taker attitude makes you a good businessman, and your strong will-power and dedication make you a good employee. You prefer learning the ins and outs of the process and job you are into. If you find yourself at the bottom of the ladder, don’t be demotivated, work hard to work your way up. Learn everything about the process, polish your knowledge bank and gain experience to ensure a better position for yourself. Your detail-oriented nature and time-management skills help you succeed in both personal and professional life. Your determined and robust nature makes you a dominant individual and your intellectual power makes you enjoy your work. As per career astrology, you are always open to learning new things which bring success to your doorstep. Your ability to come up with concepts, and develop ideas gets you a permanent and a more rewarding position in your office. Your creative nature and eagerness to learn will surely take you up to the next level. Make your passion your career to excel in life. You express yourself well by showing your creative side to the world. For the job advancements make sure that you are in the right field. Use your imagination and passion for creativity to achieve success. Your Zodiac sign undoubtedly has a significant impact on your career. You can take the help of career horoscope and choose the most flourishing career for yourself according to your Star sign. Manisha Kothari is a content writer who offers copy-writing, ghost-writing and blogging services. She works closely with Horoscopelogy providing unique and eye-catching content that enhances their search engine visibility and gains social media attention.